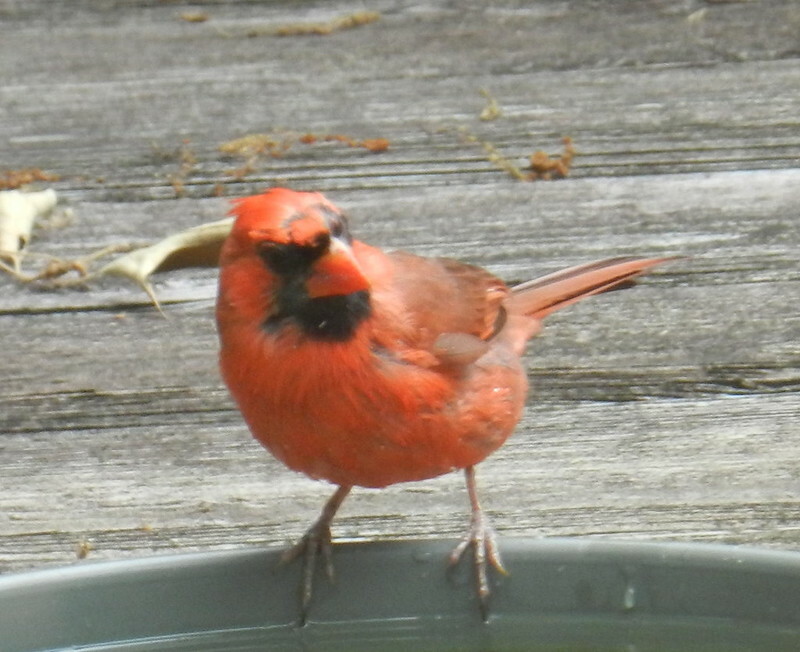 Last week I posted a female cardinal after her bath and this week a male cardinal on the edge of the bath. I love how friendly your cardinals appear to be. The ones living in my yard are rather shy. Is he waiting modestly until he's not on camera? Great shot, I so love cardinals and they always seem to have "attitude". Cute! I just had one in my birdbath, but didn't get a photo. Pretty Cardinal, lovely shot! Carver, have a happy week!